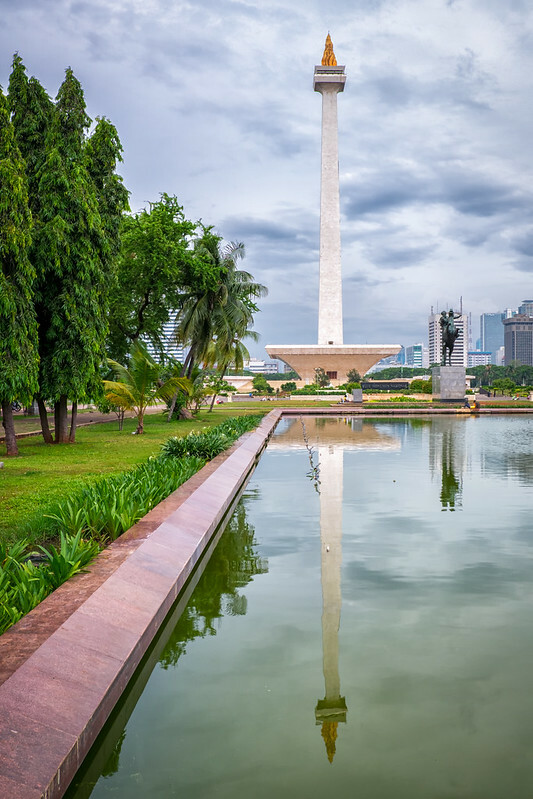 With a couple of hours to kill in Jakarta before boarding my flight back to Tokyo after an express business trip, I used the little time I had to visit the Monas and the Istiqlal Mosque. 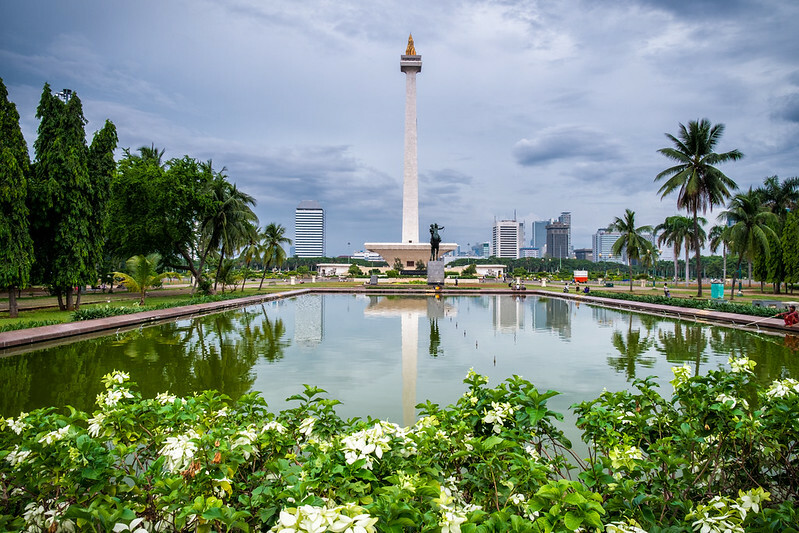 The Monas is a 132m pillar-looking tower, built to commemorate Indonesia’s fight for its independence and the end of the colonial administration of the Dutch East Indies after the end of WWII. 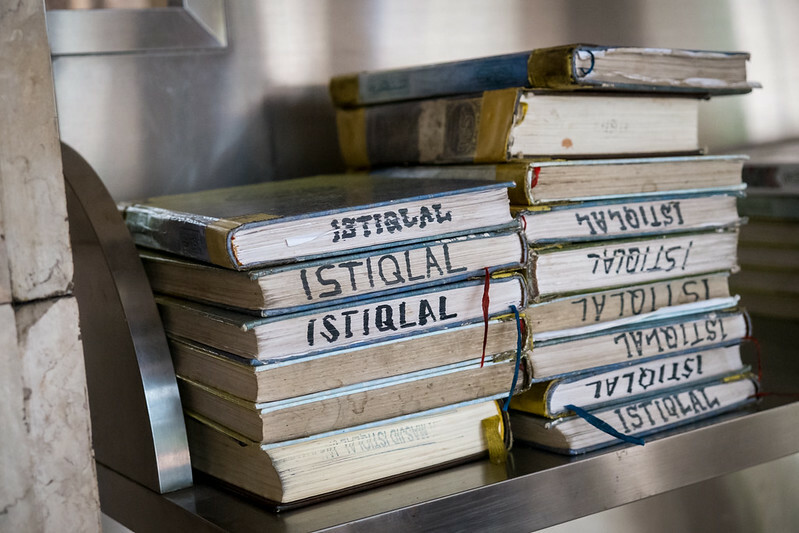 There is a replica of the Indonesian independence proclaim script by Soekarno inside. You can also take a lift to the top for a panoramic view of the city, but nothing to really write home about unfortunately. 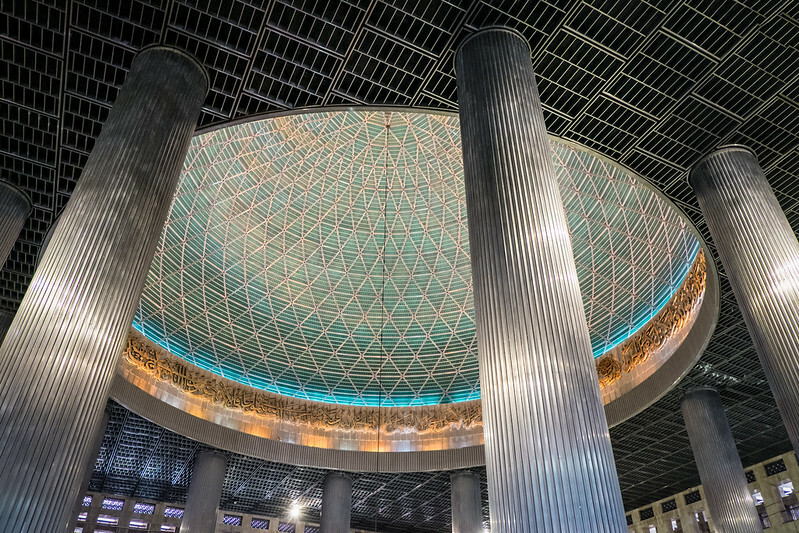 The Istiqlal Mosque is the largest mosque in Southeast Asia. 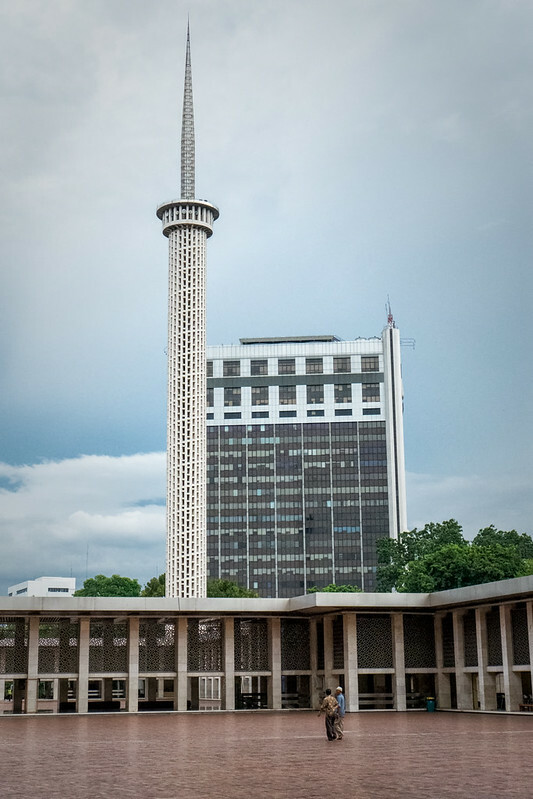 It was also built after the end of the colonial era, and its name Istiqlal Mosque can actually be translated into “Independence Mosque”. I tried to include people in some of the images to give a sense of scale. 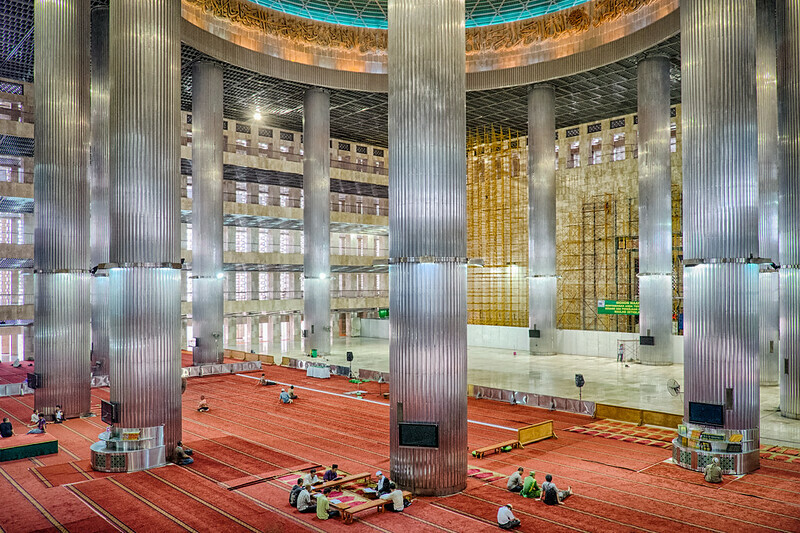 It must be very impressive when the main prayer hall is full. 2 hours is obviously not enough time to visit a big city like Jakarta. However, while I always enjoy my time there thanks to the kind people I meet and the delicious street food, there are many beatiful places throughout the country and I would personally not allocate much time to Jakarta compared to Jogjakarta or Borobudur for instance. The pollution of the air in Jakarta is a real problem in my opinion, which gets exacerbated by the hot and humid climate. Too bad you couldn’t stay longer! 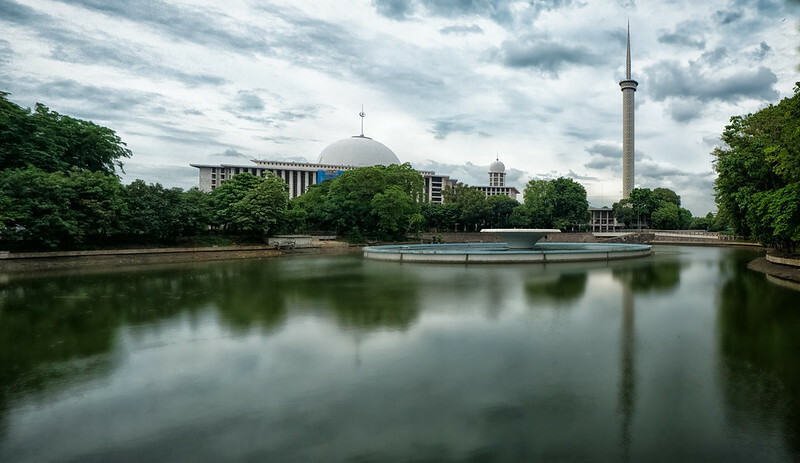 There are so many things to see in Jakarta (and also other cities in Indonesia). And yes, the pollution is horrible in the city, but outside it’s very different. Hopefully you’ll get a chance to visit Indonesia some other time to see more!